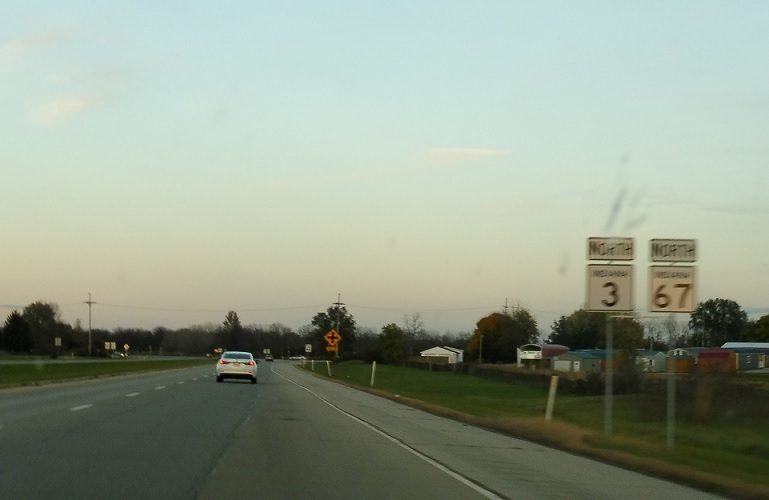 Reassurance shield as 67 joins Indiana 3, which bypasses Muncie to the east. Reassurance shield after Meeker Avenue. 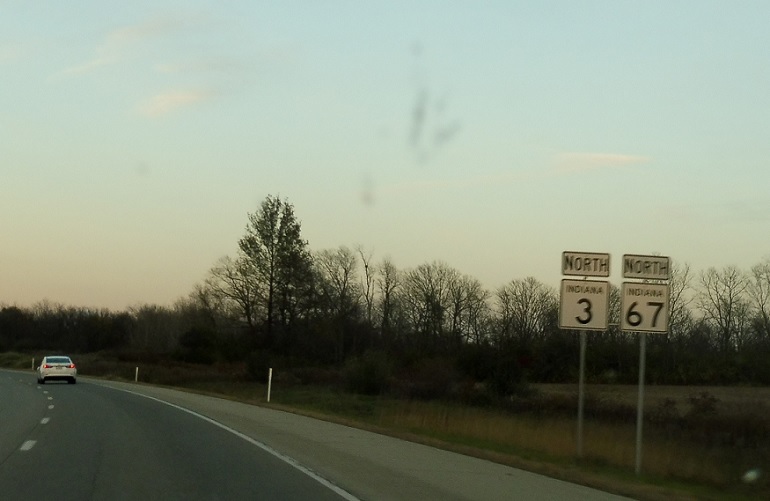 In a couple hundred feet, US-35 north joins the concurrency without access to 35 south from 3/67 north.